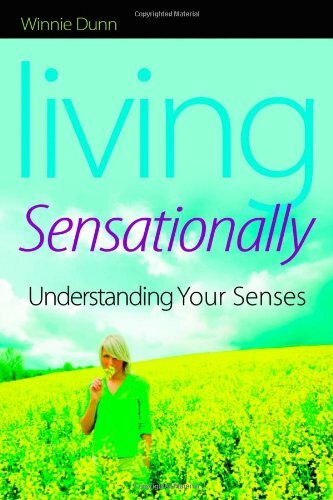 Living Sensationally: Understanding Your Senses by Winnie Dunn. This book explains how people’s individual sensory patterns affect the way we react to everything that happens to us throughout the day. The author identifies four major sensory types: Seekers; Bystanders; Avoiders and Sensors. Armed with the information in “Living Sensationally”, people will be able to pick just the right kind of clothing, job and home and know why they are making such choices. Autism Spectrum Disorders and Visual Impairment by Marilyn H. Gense and D. Jay Gense. This book includes topics such as understanding ASD and visual impairment, program planning and instructional strategies, career education, recreations and leisure, and classroom supports. Pp. 329. DVD produced by Illinois Assistive Technology Program (www.iltech.org) This DVD gives information on various assistive devices often used for people with other disabilities and shows how they can be modified for people living with ASD. Asperger Syndrome and Sensory Issues Asperger Syndrome and Sensory Issues by Brenda Smith Myles, Katherine Tapscott Cook, Nancy E. Miller , Louann Rinner, and Lisa A. Robbins. 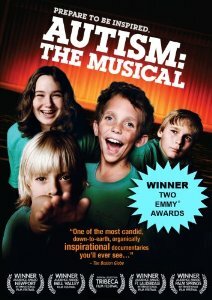 This addition uncovers the puzzling behaviors by children and youth with Asperger syndrome (AS) that have a sensory base and, therefore, are often difficult to pinpoint and interpret. The book covers the impact of the sensory system on behavior, reviews formal and informal assessment tools and offers an invaluable set of practical interventions that can be used by parents and educators alike to promote success for children and youth with AS. Pp. 129. 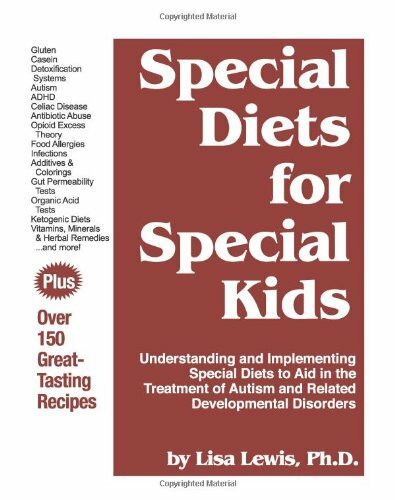 This text gives information for reader’s understanding and implementing special diets to aid in the treatment of autism and related developmental disorders. Pp. 251. 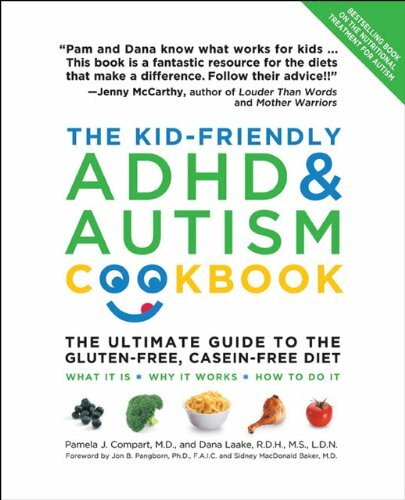 The Kid-Friendly ADHD & Autism Cookbook by Pamela Compart and Dana Laake. In addition to updates on new research and findings, readers will find recommendations from the authors for packing school lunches and snacks, plus 100 brand new recipes! Pp. 352. 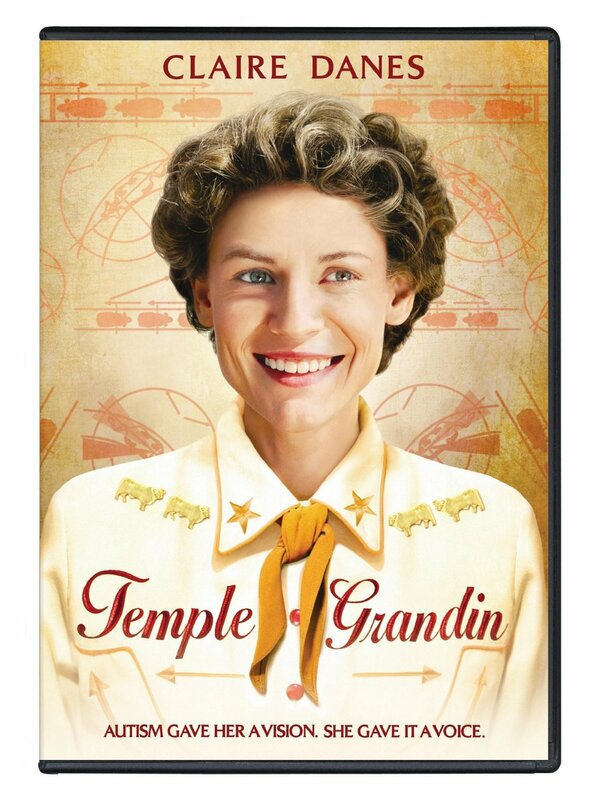 Temple Grandin was diagnosed with autism at the age of three. An intelligent child with a thirst for knowledge, but unable to properly express herself or control her behaviour, Temple struggled through grade school. Eventually moved from a “normal” school to an educational program for autistic children, she began to suffer “nerve attacks.” Now Temple tells the story of how she went from a fear-gripped, autistic child to a successful professional and a world leader in her field. 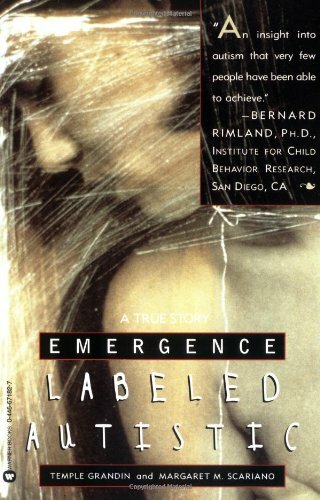 A chronicle of perseverance and courage, EMERGENCE gives new hope and insight into the tragedy of autism and the vast potential of the human spirit. Pp.200. Women with Attention Deficit Disorder by Sari Solden. Every year, millions of withdrawn little girls and chronically overwhelmed women go undiagnosed with Attention Deficit Disorder because they don’t fit the stereotypical profile: they’re not fast-talking, hyperactive, or inattentive, and they are not male. Sari Solden’s groundbreaking study reveals that ADD affects just as many women as men, and that the resulting depression, disorganization, anxiety, and underachievement are also symptoms of ADD. The book explores treatment and counseling options, and uses real-life case histories to examine the special challenges women with ADD and ADHD (Attention Deficit Hyperactivity Disorder) face, such as the shame of not fulfilling societal expectations. Included is a brand new chapter on friendship for women with ADHD. Three empowering steps — restructuring one’s life, renegotiating relationships, and redefining self-image — help women take control of their lives and enjoy success on their own terms. Pp.304. Look Me in the Eye by John Elder Robison. 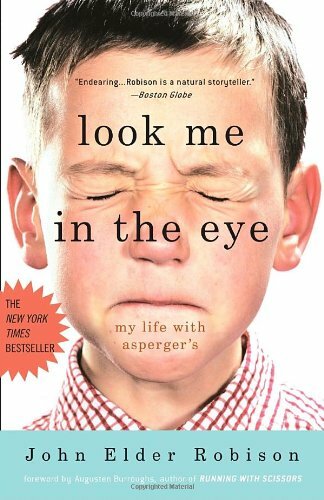 This book is the moving, darkly funny story of growing up with Asperger’s at a time when the diagnosis simply didn’t exist. Robison takes you inside the head of a boy whom teachers and other adults regarded as “defective,” who could not avail himself of KISS’s endless supply of groupies, and who still has a peculiar aversion to using people’s given names (he calls his wife “Unit Two”). Ultimately, this is the story of Robison’s journey from his world into ours, and his new life as a husband, father, and successful small business owner—repairing his beloved high-end automobiles. Pp. 304. 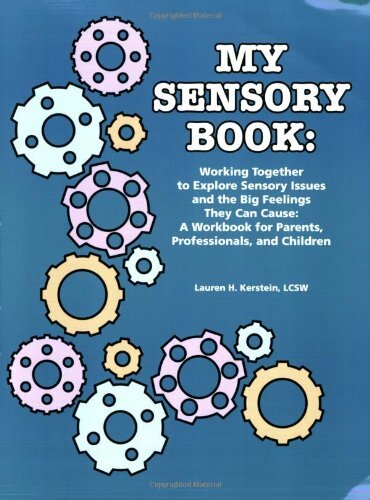 My Sensory Book: Working Together to Explore Sensory Issues and the Big Feelings They Can Cause: A Workbook for Parents, Professionals, and Children by Lauren H. Kerstein. This book is designed to assist children with establishing a clearer understanding of their sensory systems and how they impact their emotions. A major emphasis is placed on identifying the triggers for strong reactions to many seemingly harmless events, which in turn helps put strategies in place that may mitigate these feelings and ultimately help them cope more effectively with the world around them. The workbook includes activities for self-exploration and helps children (and their adult facilitators) develop a personal plan for handling challenging situations. Pp.157. 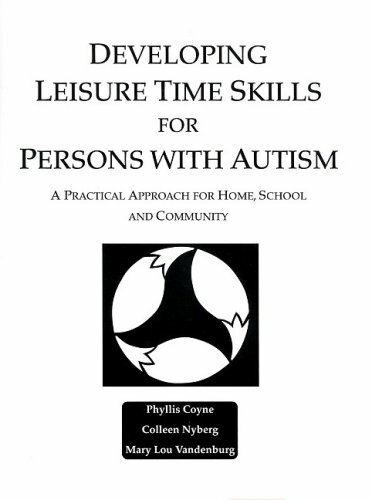 Developing Leisure Time Skills for Persons with Autism: A practical Approach for Home, School and Community by Phyllis Coyne. This book provides comprehensive, structured strategies to help adults introduce meaningful activities to ASD children, which they can practice at school or at home. 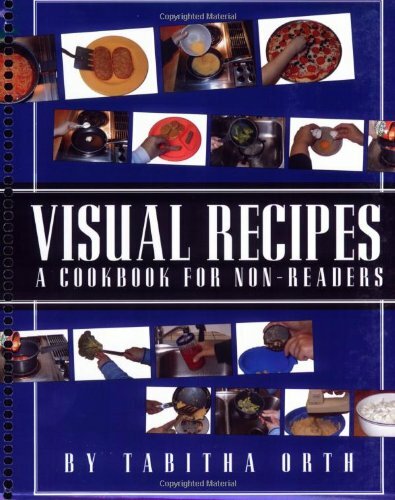 The first half of the book provides forms and charts that will help adults assess the child’s sensory needs, select age-appropriate activities, and then determine level of interest in specific activities. The second half provides numerous “Activity Cards” for going to the park, playing games, listening to music, and many more! Pp.228.